Are your light bulbs burning out too quickly and frequently? Do you feel electrical shocks when touching appliances? If you’re experiencing these problems and other similar issues, turn to J&S Electric of Greensboro. Our electrical company offers general electrical repair and maintenance in Greensboro, NC. 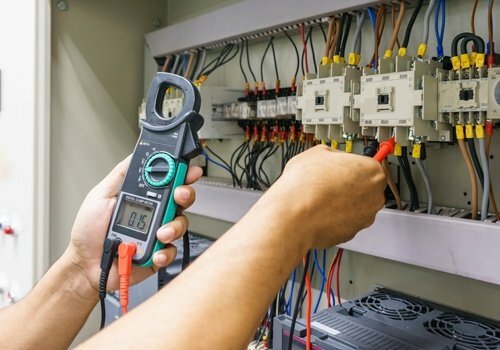 Equipped with the right skills and tools, electricians have what it takes to keep your electrical system up and running without any fuss. For more information about our locally owned electrical company and the services we offer, please don’t hesitate to get in touch with us today. You can reach us via phone, fax, or email. We are bonded and licensed for your peace of mind.